JB WELD is a heavy duty steel-reinforced epoxy which can be used to smooth metal imperfections in jobs before powder coat is laid down. As JB Weld can be drilled, sanded, filed, tapped, machined, and powder coated, it makes it perfect for minor repairs on wheels or metal mechanical components that need an even surface. 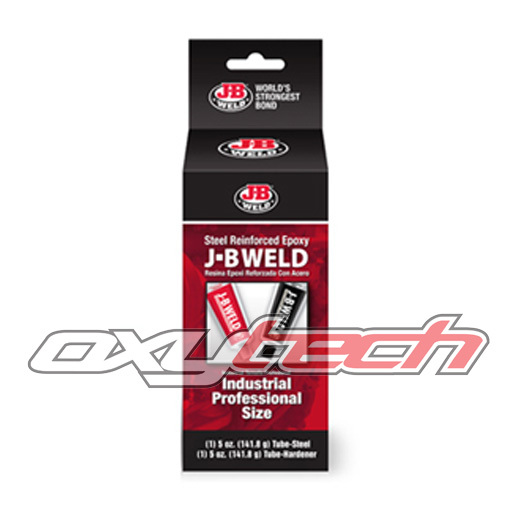 Oxytech sell JB Weld in the Professional Size, packaged as two 141g tubes. It is suitable for industrial situations, such as commercial workshops, refinishing and engineering uses.